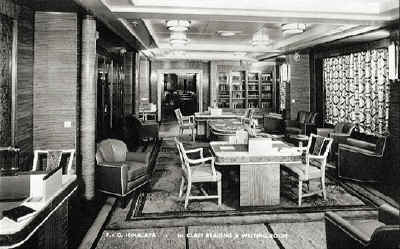 Please Note: The word mark 'P&O' and the house flag are Trade Marks of the DP World Company. 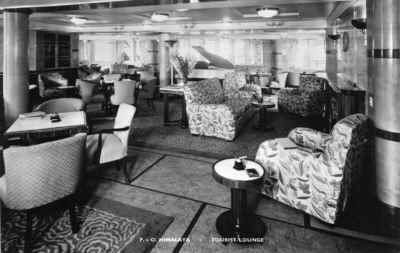 "By the time the Second World War ended in August 1945, the P&O Company had suffered terrible losses, the shipping group itself having lost 182 vessels totalling nearly 1,250,000 tons. 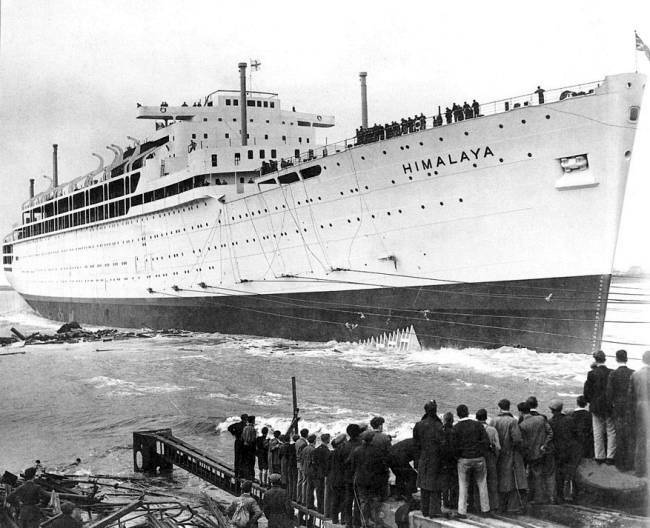 The rebuilding of the passenger fleet started in 1946, when P&O ordered their 28,047 gross ton liner Himalaya from Vickers Armstrong at Barrow-in-Furness." 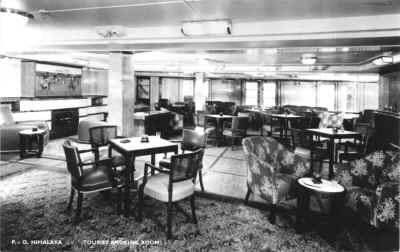 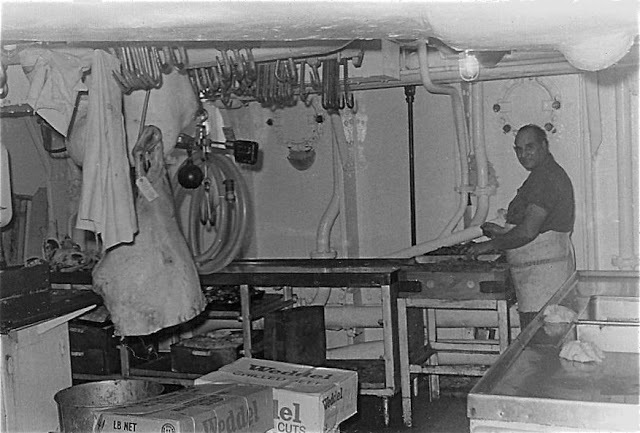 Neil Mc Cart, 20th Century Passenger Ships of the P&O. 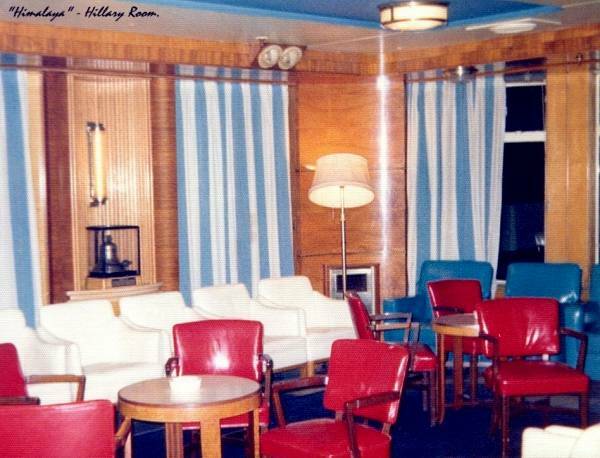 Her completion took 18 months longer than planned, and at £3.4 million, she was £1.0 million over budget on delivery. 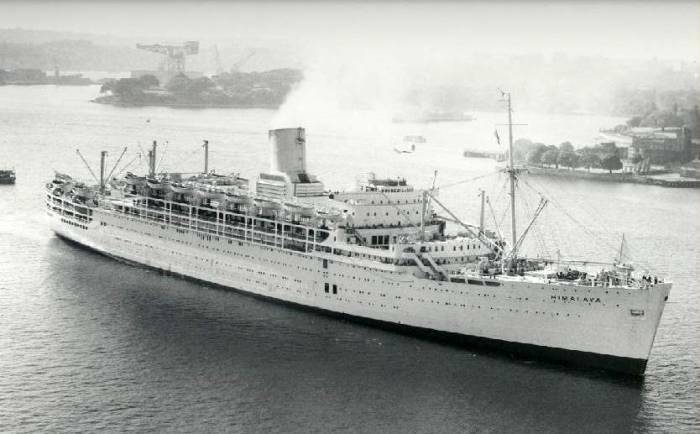 She was the largest liner built anywhere in the world in 1949, and the first to be equipped with an innovative Weir evaporating plant for distilling water fresh water from sea water. 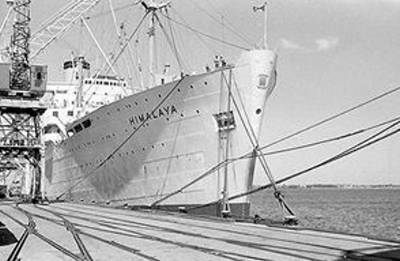 P&O's Himalaya, Yard Number 951, was launched by Lady Curry, wife of the P&O Chairman, on 5th October 1948. 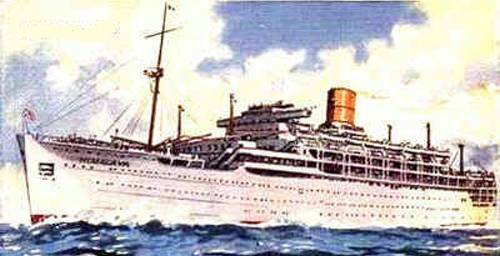 She shared the same hull design as a new Orient Line passenger ship, Yard Number 950, the ss Orcades. 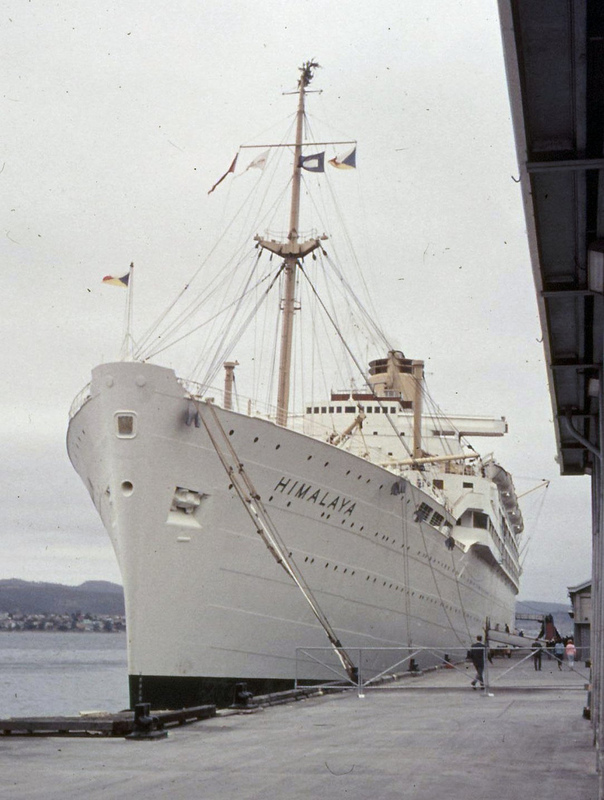 Himalaya in build at Vickers Armstrongs', with Chusan astern of her. 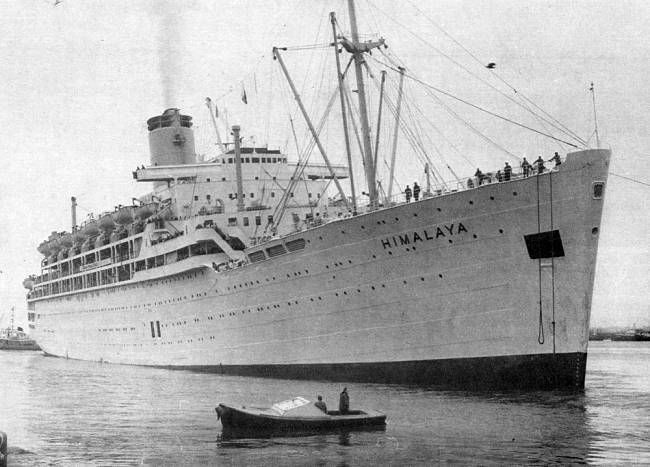 Himalaya ran speed trials off the Isle of Arran on 24th August 1949, achieving a speed of 25.13 knots over the 'measured mile'. 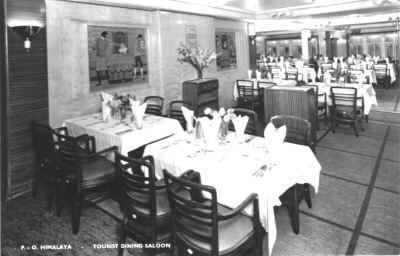 The third ship to bear the name, she was handed over to P&O on 1st September, docking at Tilbury on 11th September after some additional fitting out work at Belfast. 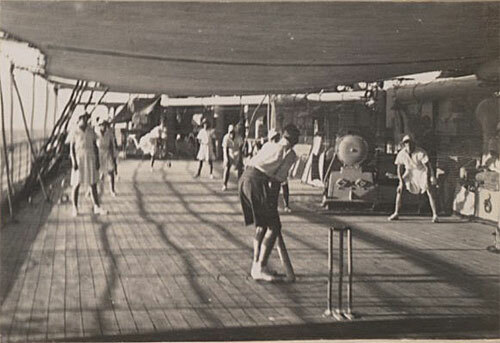 On 6th October, she departed Tilbury on her maiden voyage, outward bound for Bombay and Australian ports beyond, under the command of P&O's Commodore, Captain D.M.Stuart DSC. 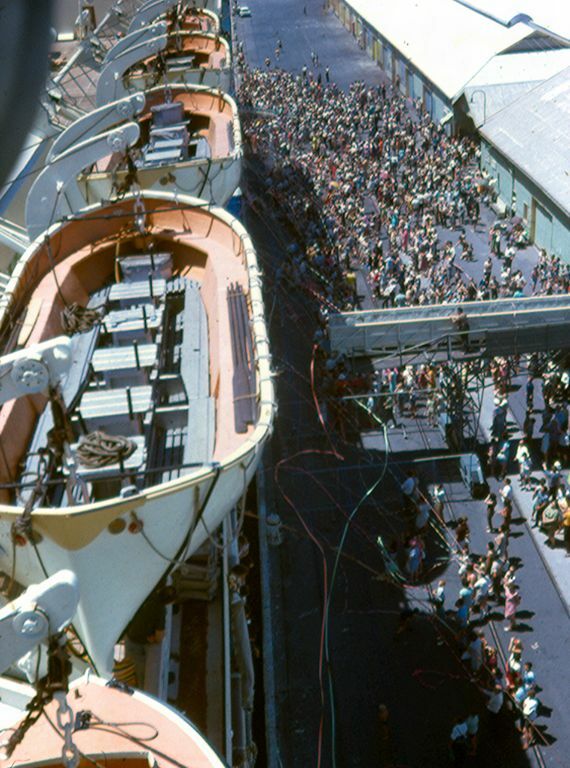 as thousands greeted the new 28,000 ton ship. 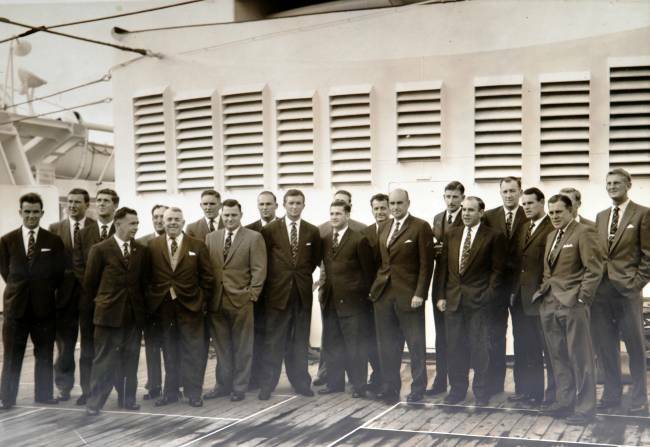 On board was the P&O chairman, Sir William Currie, photographed here with the entire ship's company. 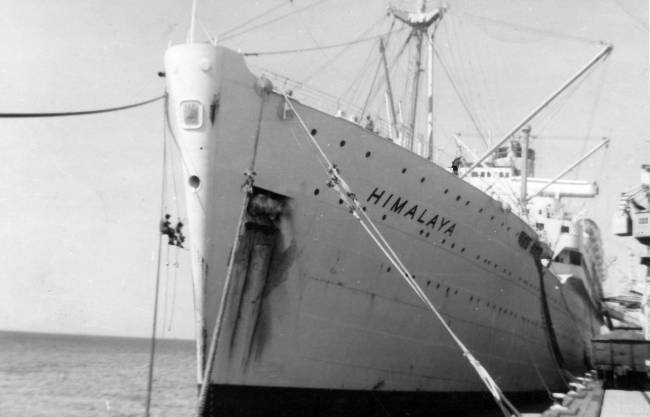 Under his command, Himalaya soon proved to be something of a record-breaker, cutting the UK to Bombay passage time by 5 days, from a pre-war 20 days, to 15 - while reducing the voyage time to Melbourne from 38 days to just 28. 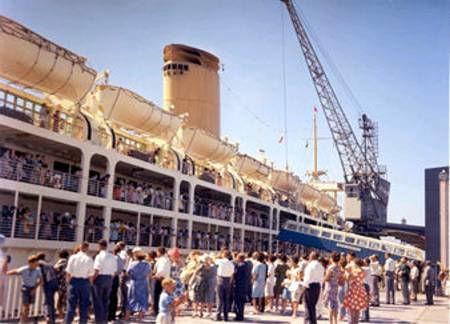 She was greeted by crowds of thousands in Australia, where she quickly proved to be a popular and welcome sight. 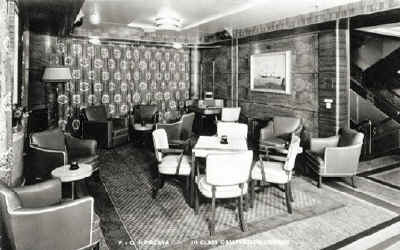 Returning to Tilbury on 22nd December, Staff Captain H.C.C. 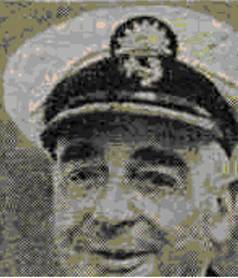 Forsyth assumed command, and Captain Stuart retired from seagoing duties. 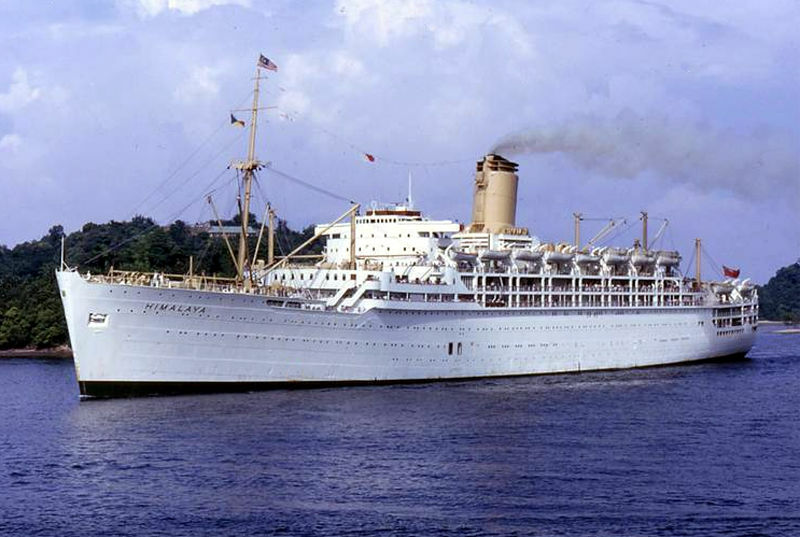 Himalaya made only two round trips to Australia, before being programmed for a number of cruises from Southampton, the first P&O cruises since 1939. 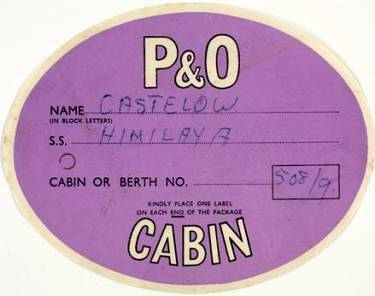 Before the war, the Straths had proved very popular in this role, and Himalaya was to enjoy a similar response from a British public, still suffering from the gloom of post-war austerity. 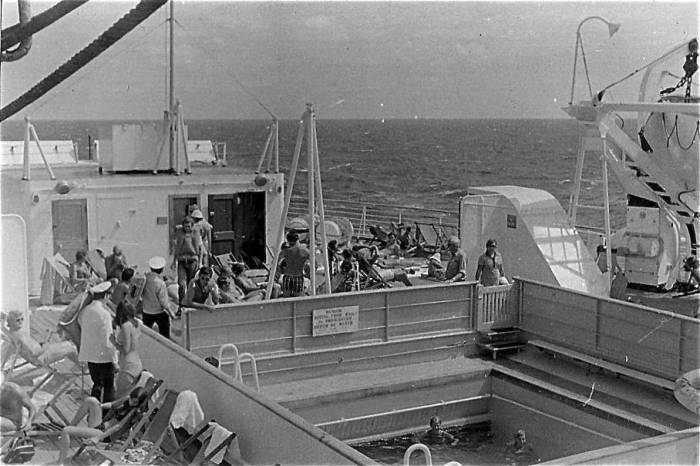 The public were soon to discover that there was nothing like a sunshine cruise to lift the spirits. 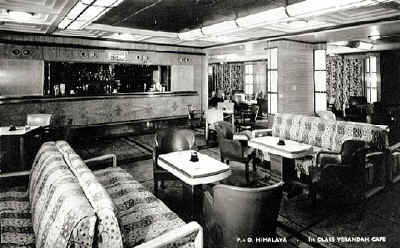 First class fares, for a 14 day cruise, ranged from £65 - £85, with tourist class between £36 and £48. 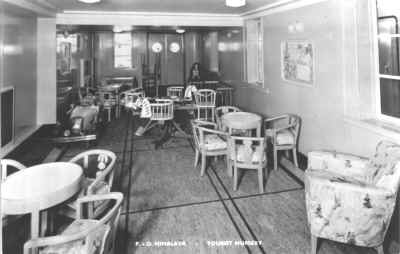 Her two fourteen day cruises proved a great disappointment to the 7,000 who failed to obtain a berth - heavily oversubscribed as she was, with only 5,000 berths available. 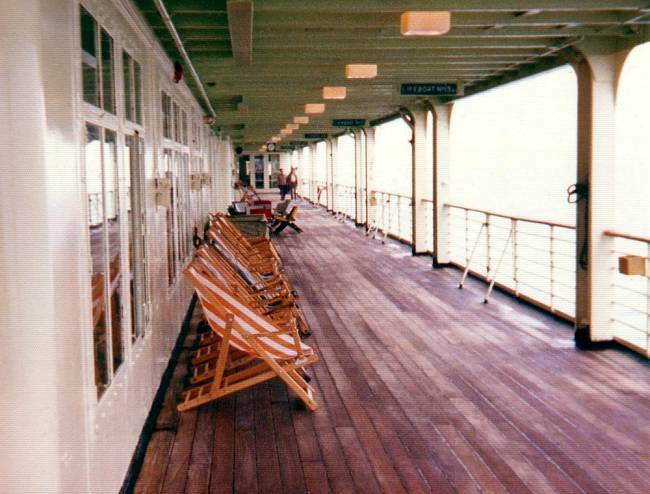 "You stretch out, relaxed, on a warm deck and suddenly, nothing on earth matters. 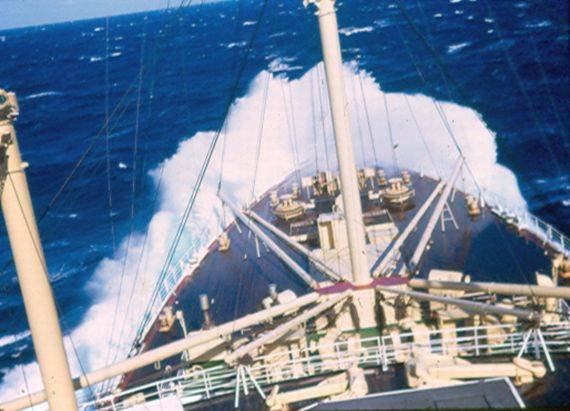 You see the sun like you've never seen it before - dazzling across the smooth sapphire of the sea. 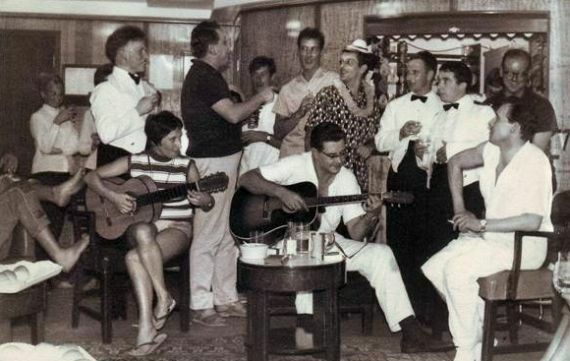 And you discover how carefree life can be, surrounded by people who are actually eager to please you. 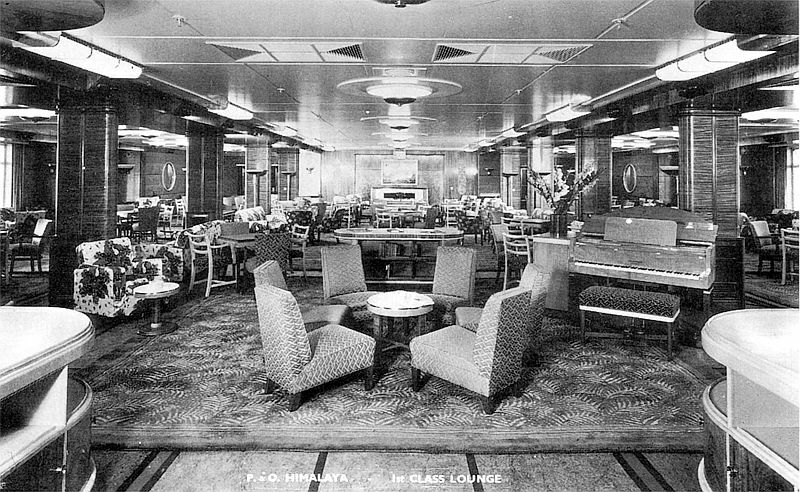 You're in the world of P&O. 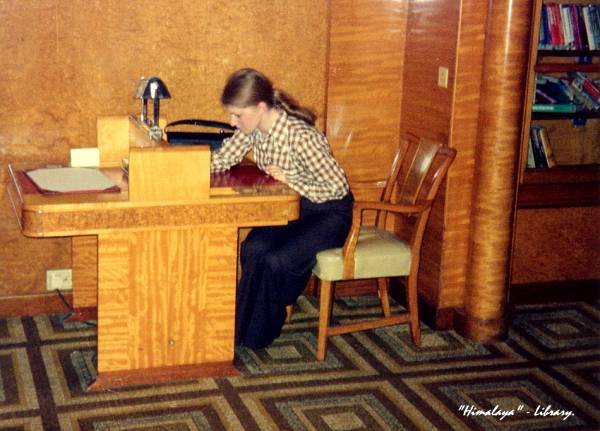 And it's like nothing on earth!" 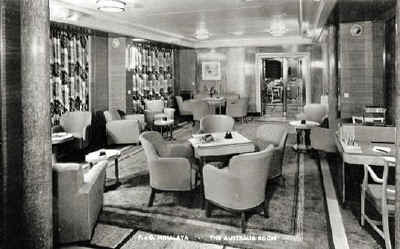 Himalaya had been designed to be the finest passenger ship on the Australian trade, with great care being paid to her accommodation. 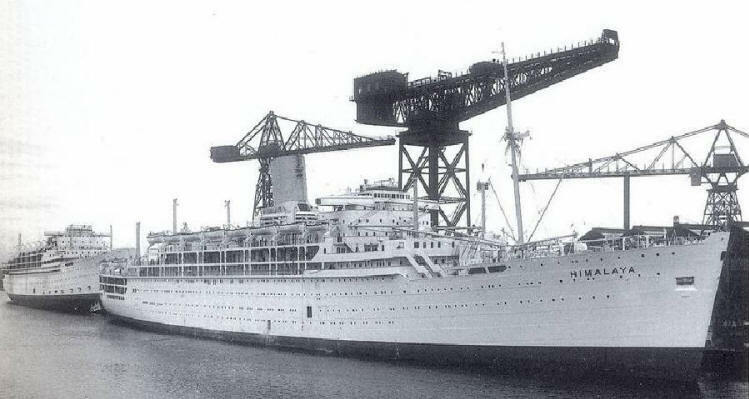 She was designed to carry 758 first-class passengers in 443 cabins, many with private facilities, while 401 tourist-class passengers shared 147 cabins. 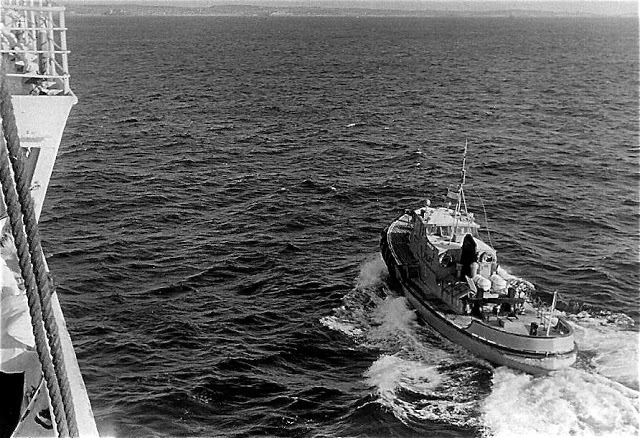 With a with a crew of 572, she had a passenger-to-crew ratio of just over two. 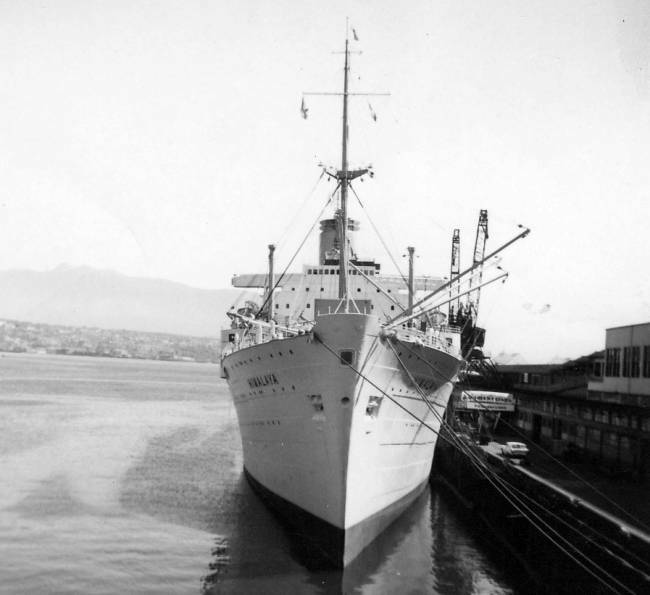 Cargo had not been neglected either; her three forward holds contained a lucrative 235,000 cubic feet of refrigerated cargo space. 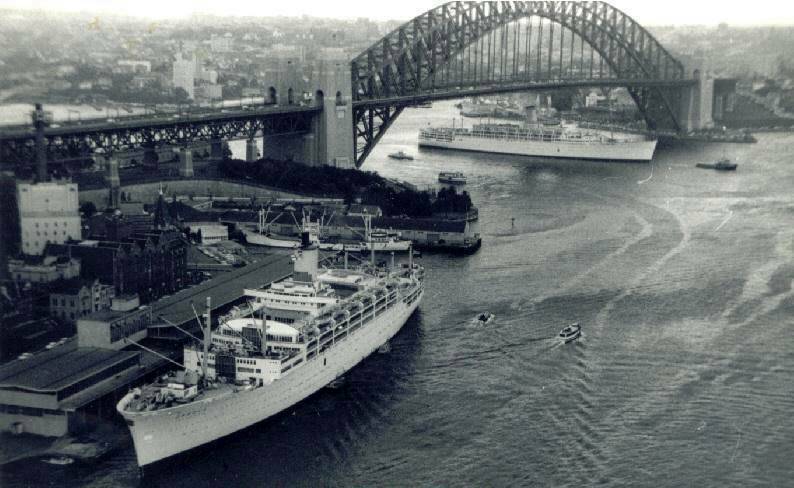 Himalaya arriving Sydney, with the site of the new Opera House to port. 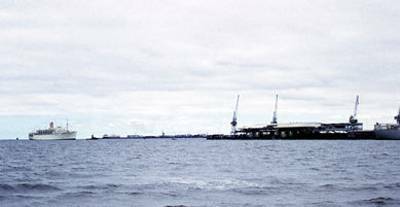 Her seawater distillation plant proved to be a great success, producing over 40,000 tons of fresh water a year. 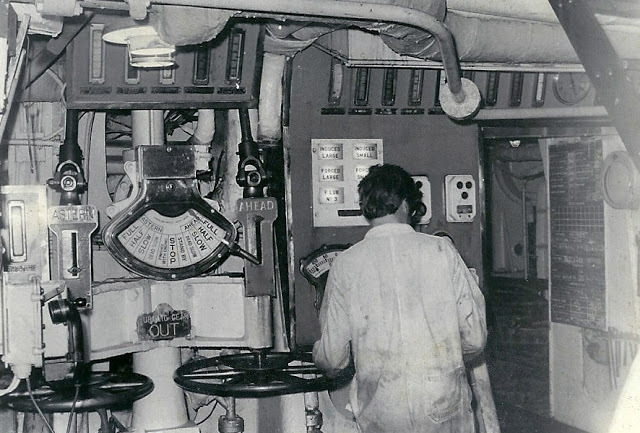 During her career, Himalaya underwent a number of improvements, the first of which was the fitting of a funnel cowl, designed to keep her decks clear of smoke and soot, without jeopardising boiler performance. 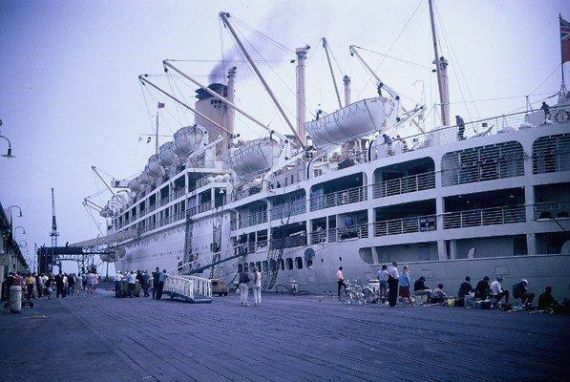 Himalaya and Chusan, had rather shorter funnels than was the style at the time, and as a result both suffered from smuts falling on the after passenger decks. 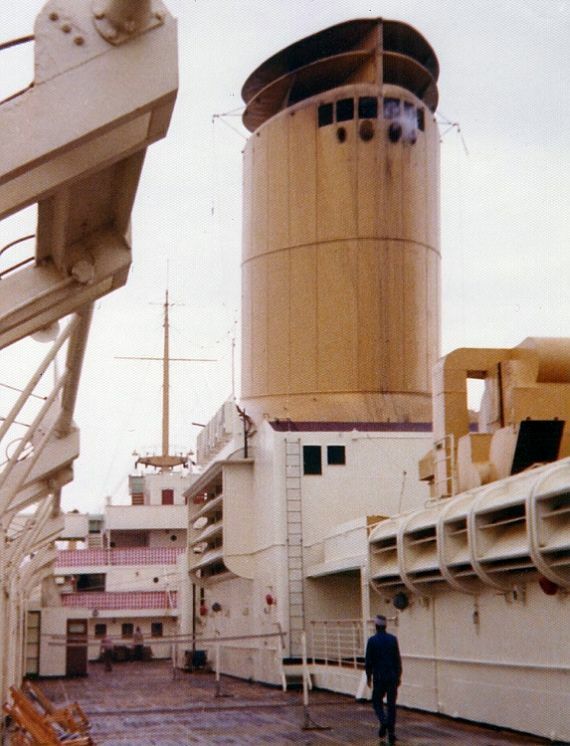 Rather than heightening the funnels, P&O looked at other devices to resolve the problem, and after testing numerous alternatives they chose a smoke-deflecting top designed by Thorneycrofts of Southampton. 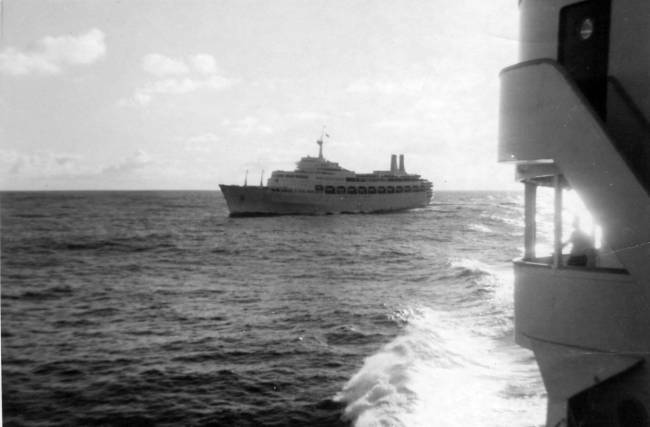 In 1952 one was fitted to the top of Chusan’s funnel, proving highly effective - while also improving the appearance of the ship. 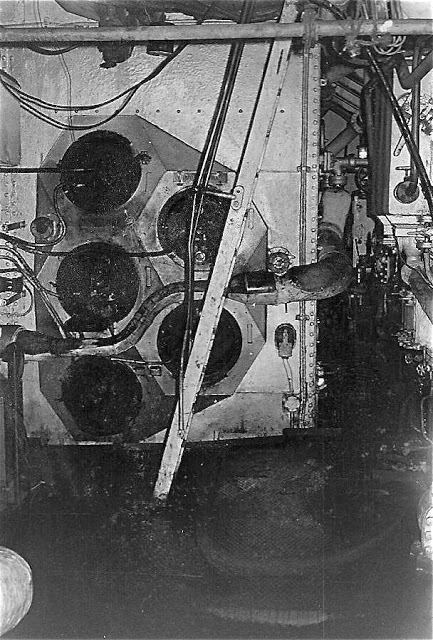 In 1953, a similar device was fitted to Himalaya with identical results. 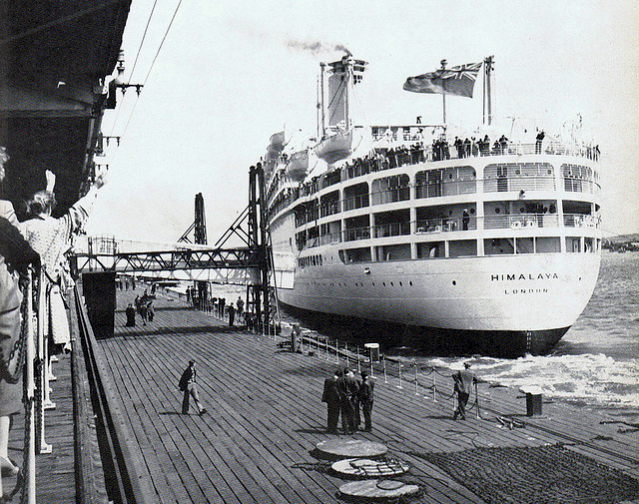 This shot is taken from an early 1960s PLA Handbook and shows Himalaya making her departure from the Tilbury Landing Stage. 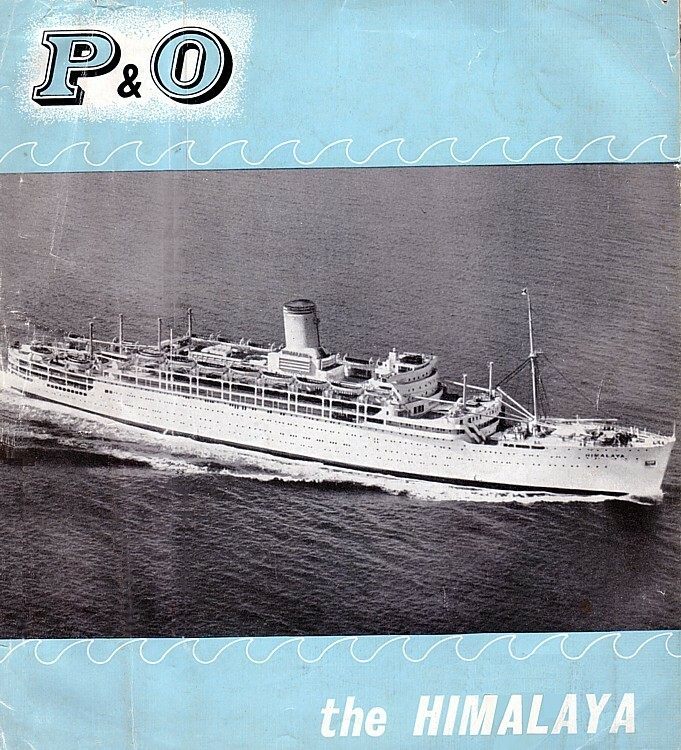 In January 1958 P&O and Orient Line services to Australia were extended across the Pacific, in a joint service marketed as Orient & Pacific Line. 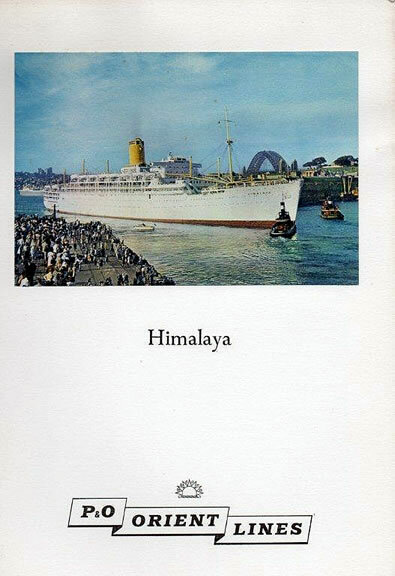 Himalaya inaugurated the operation and sailings continued from Sydney to Auckland, Suva, Honolulu, Vancouver and San Francisco. 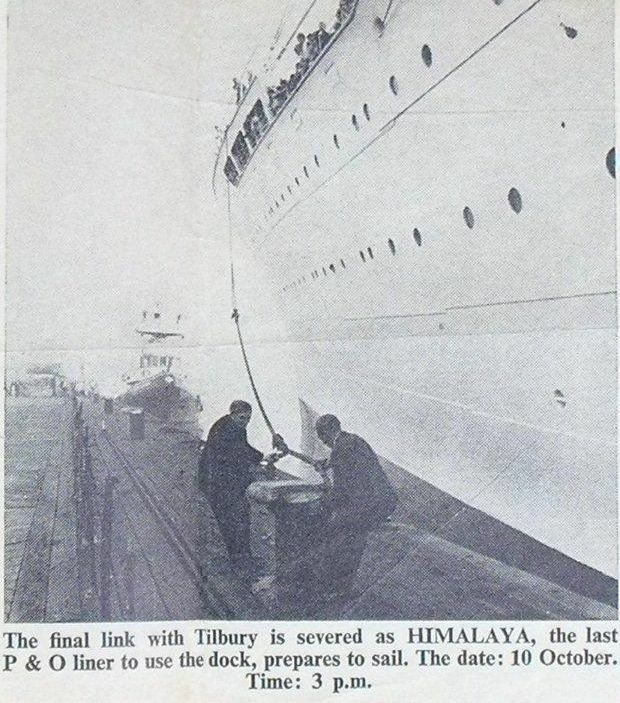 In June 1959 Himalaya was drydocked at Tilbury for the installation of a pair of Denny-Brown gyroscopically controlled extending fin stabilisers. 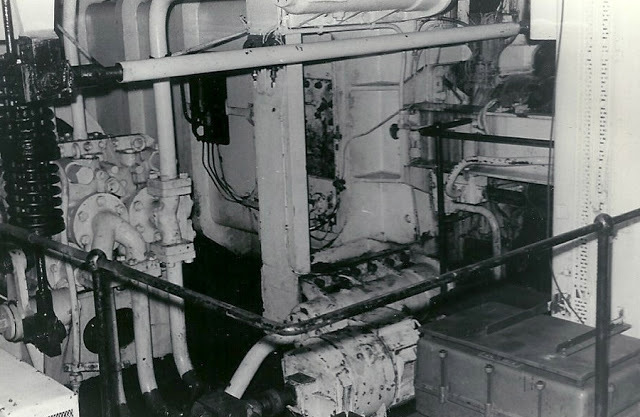 Stabiliser - inboard arrangements, showing hydraulic rams. 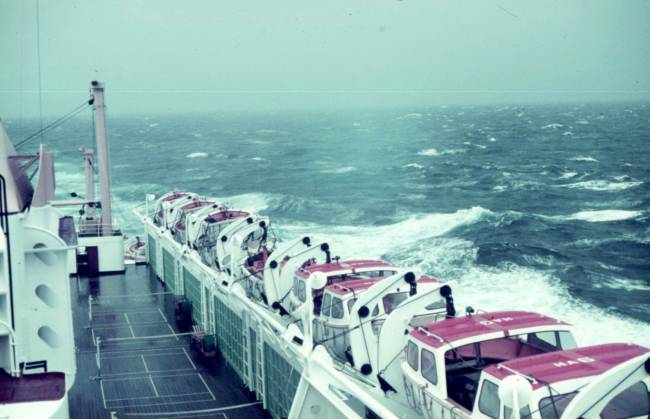 The Denny-Brown stabilisers cut down rolling by 60%. 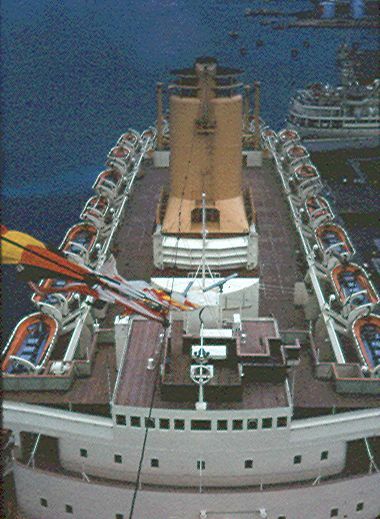 They were controlled by a gyroscope which used the effect of precession to generate an electrical impulse, which in turn controlled a hydraulic pump that altered the angle of the fin, which was shaped much like an aeroplane's wing. 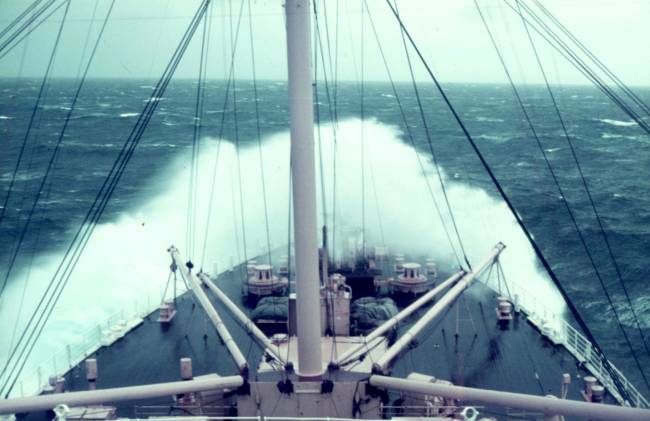 The action of the water over the wing either providing 'lift' or 'dive' to counter the effects of bad weather. 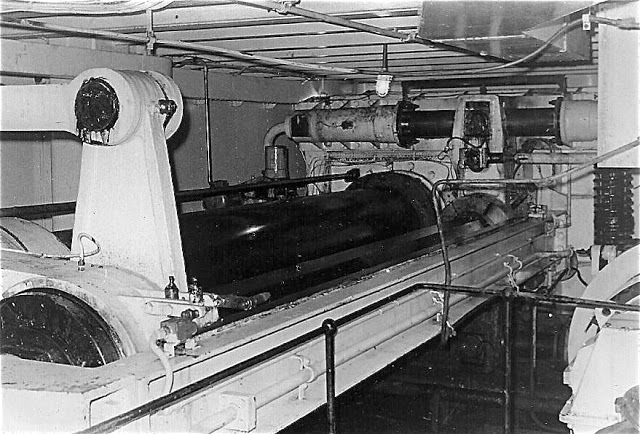 Each fin projected from the ship's side by about 12' and was 6'wide. 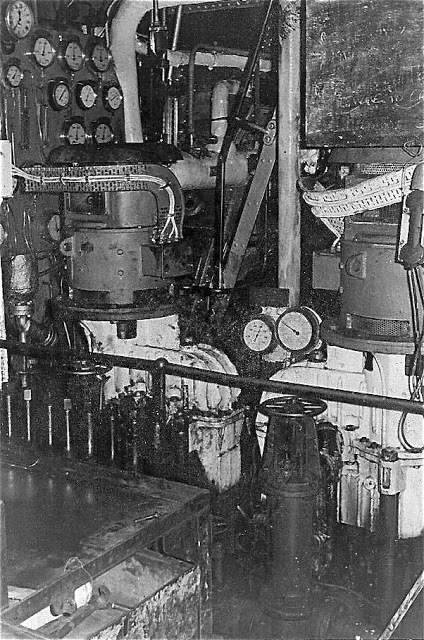 Himalaya was power by twos ingle reduction geared steam turbines, built by Vickers-Armstrongs Limited, producing 42,550 shaft horsepower. 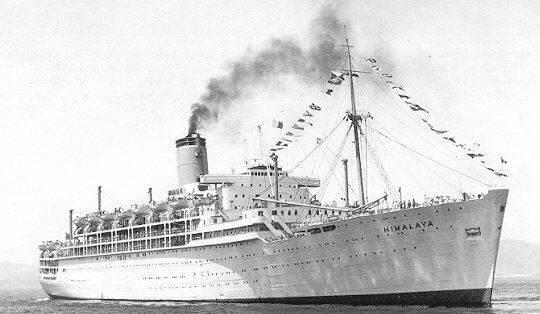 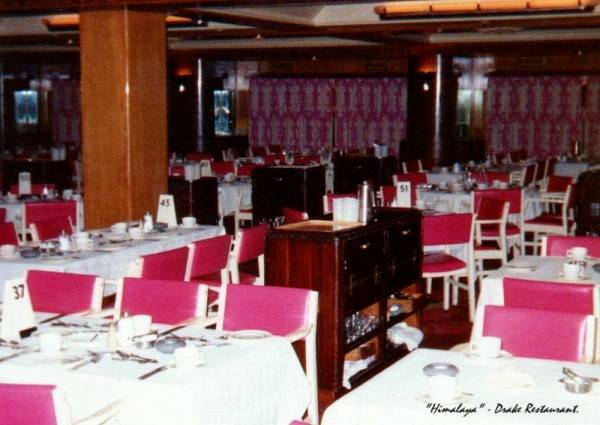 In 1963, Himalaya was refitted by R.H.Green and Silley Weir Ltd of Tilbury as a one-class ship with a passenger carrying capacity of 1,416. 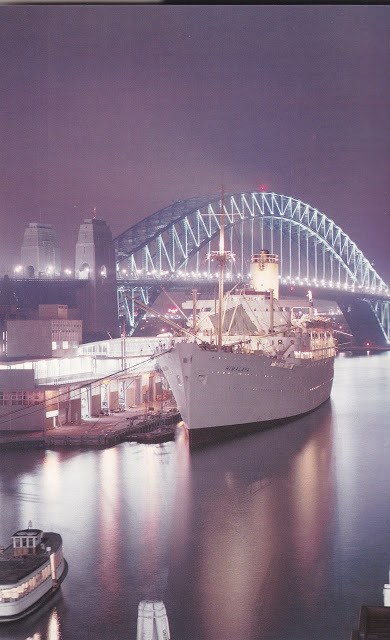 On 21st November 1963, she departed Tilbury on her first one-class voyage to Australia. 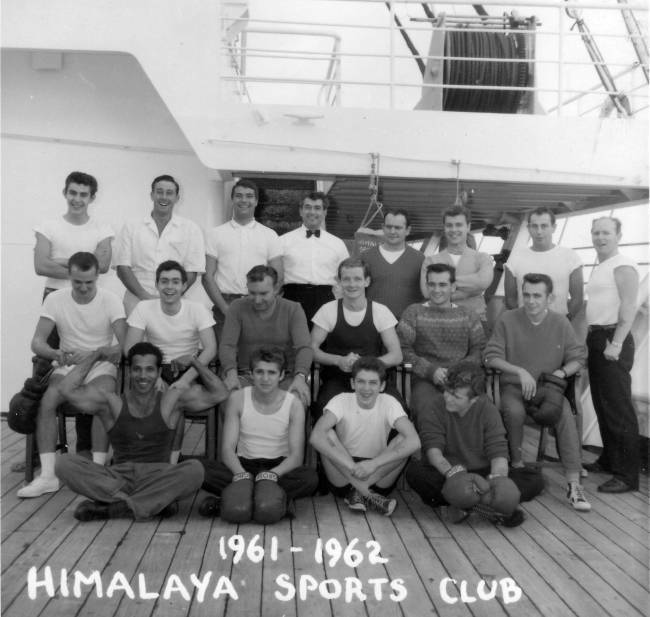 Before the advent of long-haul air travel, the Australian test match teams regularly travelled to England aboard P&O liners, and in March 1956, it was Himalaya's turn. 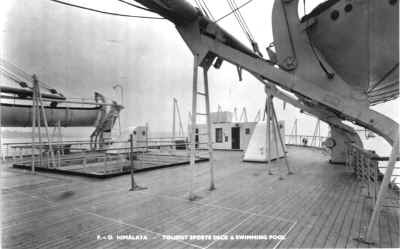 Looking aft from the foremast top. 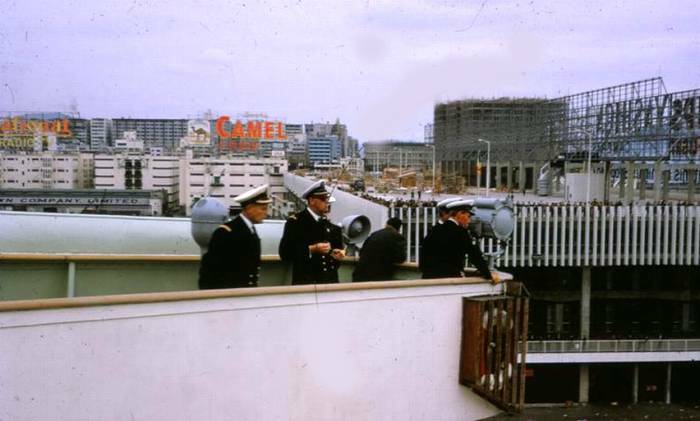 Staff Captain Adie and Captain Prowse on the bridge approaching the berth at Hong-Kong in 1967. 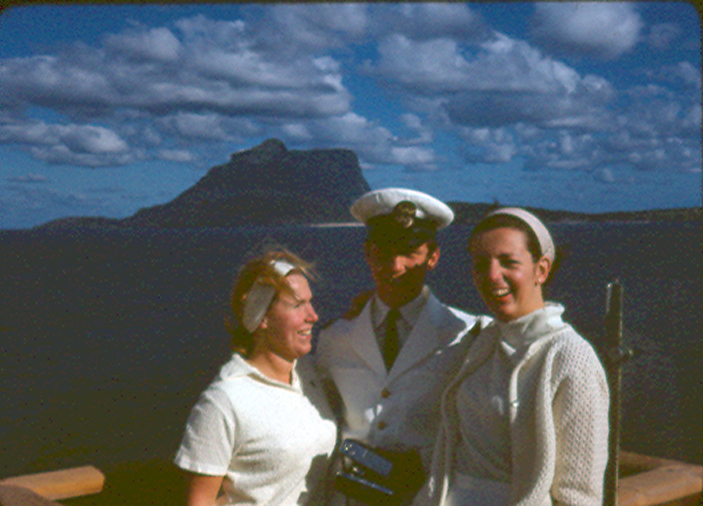 Pat Archer (WAP), Rodney Boswell (3rd Officer) and unknown WAP on Himalaya's Bridge Wing somewhere in the South Pacific, 1968/9. 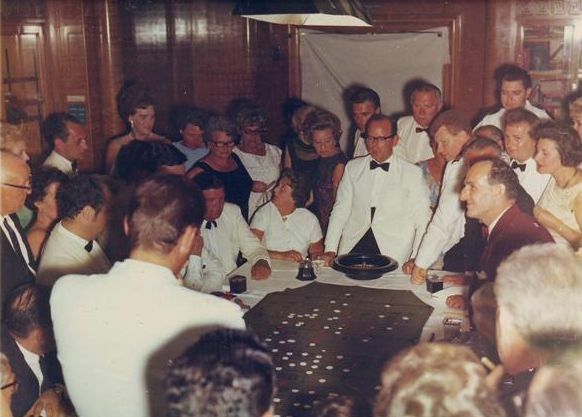 Casino Night - always popular. 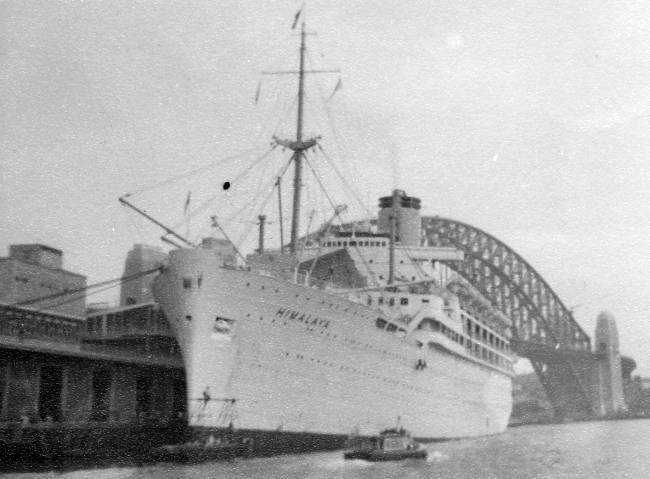 Himalaya and Orsova at Sydney. 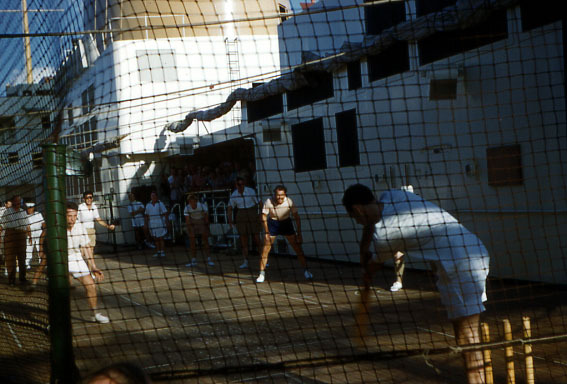 Photo by Ron Sheldon. 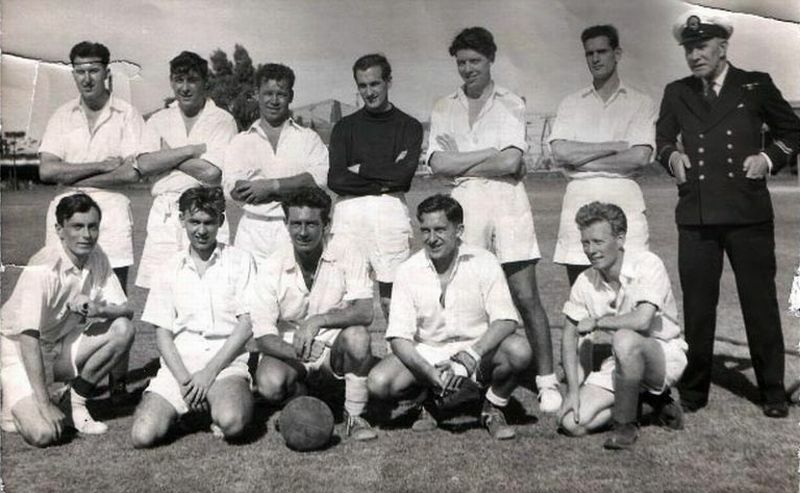 Richard is the one wearing the fair isle sweater. 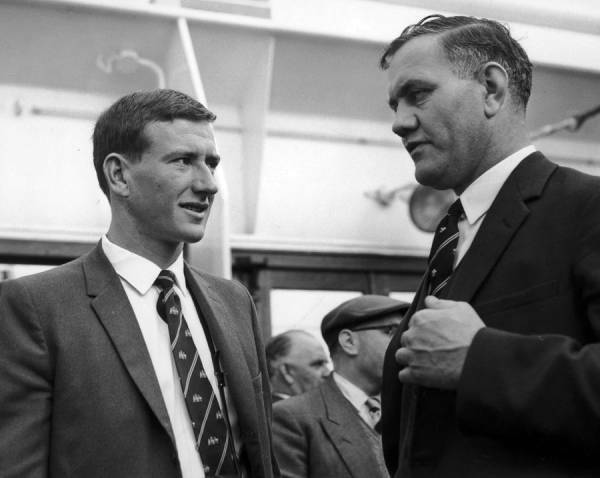 He tells us that the sports club put on a boxing tournament for the bloods to raise money for a B/R who had to be flown home. 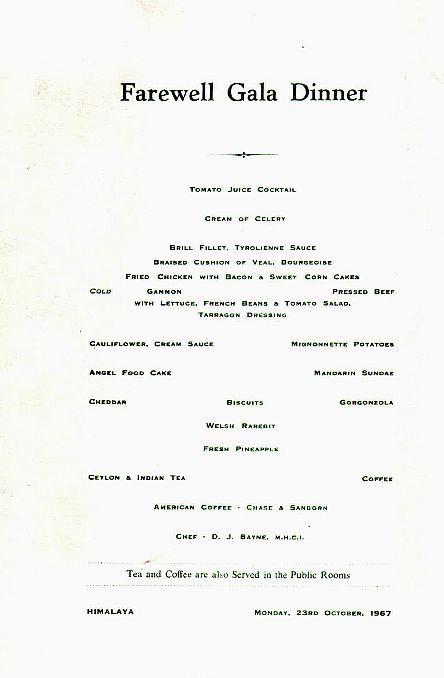 He seems to remember his wife had been in a car crash. 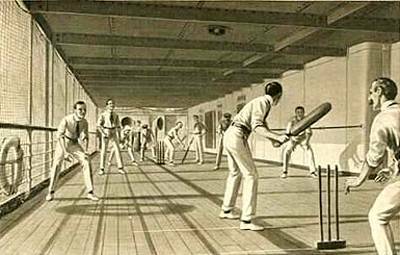 There were a few bouts put on but the best was the bell boys - about 6/7 of them blindfolded, one arm tied behind their back and one boxing glove on - all in the ring together to battle it out. 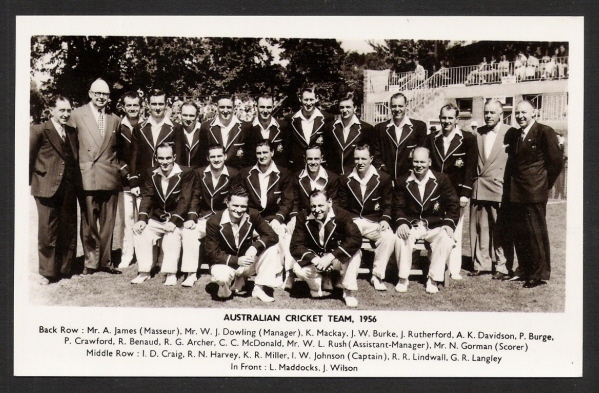 Amazingly - not one of them suffered any nasty injuries!. 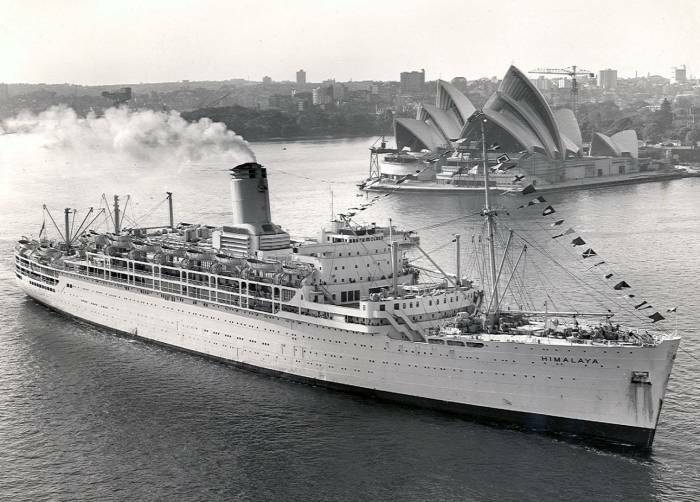 En route to Sydney; "Himalaya had to slow down to let the Canberra pass - so that she got to Sydney before us!" 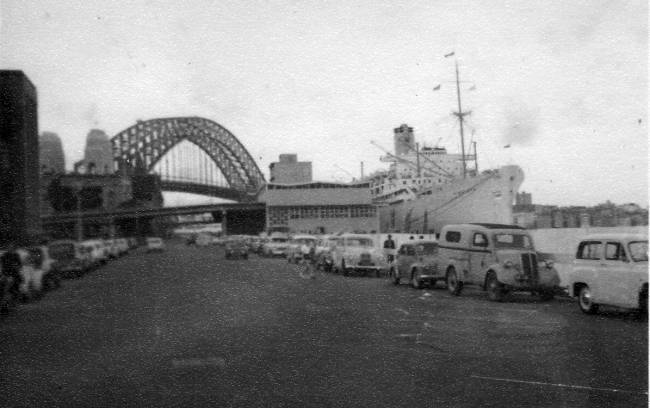 Two shots of Himalaya at Circular Quay - wonderful to see her - and the cars! 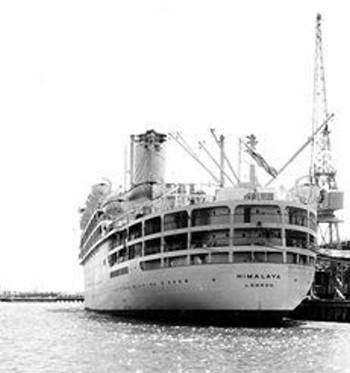 Himalaya arrived at Sydney on 30 October 1974 on her final commercial voyage. 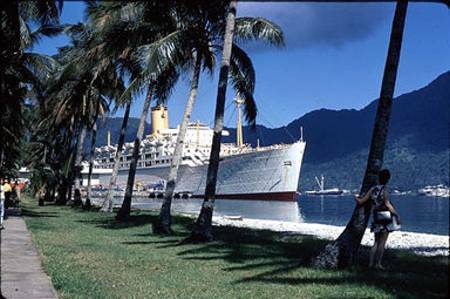 She was sold to Tong Cheng Steel Manufacturing Co. Ltd, and scrapped in Kaoshiung, Taiwan, in 1975.